The clever treasure hunters are rewarded!! Can your business team building activity staff collaborate or mutineer? Escape the office and explore Sydney Harbour bound for Botany Bay or Cockatoo Island aboard Tall Ships and Water Taxis! Shiver me timbers - a treasure hunting pirate lasses bound together in full costume. Team Building Events! Arghhh me hearties - Another fine Treasure Hunt discovery in The heart of Sydney - The Rocks! 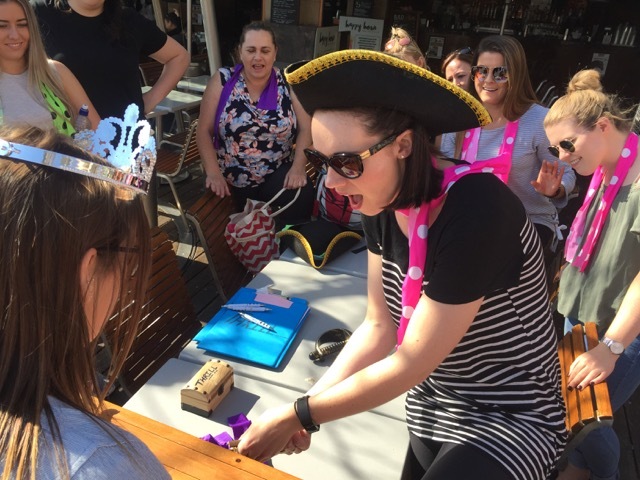 Shiver me timbers the all ladies Hens Treasure Hunt in The Rocks was a rollicking fun pre wedding affair. All crews enjoyed mischief to a grand Sydney Pub grand finale. 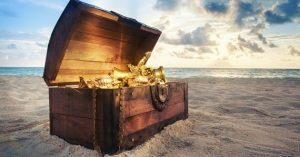 Real Treasure Chests filled with Bounty to Discover in Darling Harbour - Sydney - Gold Coast and Brisbane! A cut-lass is swept away by a band of pirate discovering The Q Station on a fun Manly Treasure Hunt Challenge! Corporate team building activities group find treasure hunts chest filled with bounty in Darling Harbour! Mish the friendly lass pirate takes charge. All Treasure Hunts staff are friendly captains and supply fun activities to enjoy! Kids Escape Cockatoo Island Treasure Hunt on Sydney Harbour with Pirate Captain Jack Sparrow! Exciting fun Treasure Hunts for all groups in all locations to enjoy themed Team Building Activities. Corporate group and social celebrations for staff to discover true treasures from Sydney, Parramatta, the beaches, Blue Mountains, Hunter Valley and Surfers Paradise, Gold Coast. We provide a rollicking fun pirate themed group or special corporate events that will have you laughing together in search of real treasures. Established in Sydney, The Rocks in 1995 – 24 years locked and bound to the best Experiences we can muster. It’s all about you, your team, staff, employees and friends having an awesome time enjoying amazing team activities together! Follow secret clue trails around pubs, docks, wharves, city streets or the bush. Live an adventure together or become super competitive. Discovering mysteries, intrigue and rich history in search of a pirates bounty, worthy of a drink or 2 along the wayward. Locked in real treasure chests. Enjoy rewarding experiences in the heart of Sydney, Manly Beach, Coogee Beach, the Rocks, Surfers Paradise, Gold Coast and Brisbane. Reveal what’s behind hidden doors. We challenge corporate and activities groups to explore and steal away with your personally engraved Holy Grail Trophy reward. Watch out for a surprise twist at ye grand finale. In a pub, cafe or restaurant of ye choice. As your group unwinds a clever twist to the wee wicked and often true tales. Ye bounty is locked. But, do you have the problem solving skills to open the chest and take the loot? Escape the office grind. Become a Pirate, Captain, Convict or come clean with no theme for the day. We create Cluedo detective, 007 James Bond, Sherlock Holmes and Agatha Christie sleuthing hunts. Even murder mysteries and CSI events for corporate groups. Props and themes matched to your style of corporate event. Jump aboard. Come clean in no theme or dressed up in pirating costumes to enjoy a social event, have a laugh, discovering the real treasures – your people. 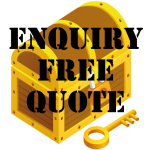 We are Professional Treasure Hunters with over 20 years experience in creating 1,000’s of treasure hunts for 10 – 1,000’s of staff, employees and hopefully you. In every location, from offices to the beaches. On islands up and down the Australian shipwrecked coast. Celebrate End of Financial around Sydney, the Rocks. Uncover hidden clues or scavenger items leading you to a Chest overflowing with your teams spirit and a holy grail!. Corporate group events both large and small are our speciality. 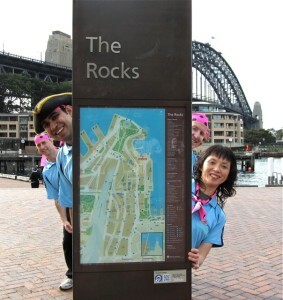 Custom built clue trails through the heart of The Rocks, Sydney or Darling Harbour, Barangaroo, Bondi, Parramatta and in Manly. North to Cairns and Port Douglas through Surfers Paradise. On the Gold Coast and race around Brisbane. Venturing south we uncover the secrets of Federation Square, Docklands, Southbank, Melbourne Gaol. Venturing along the Great Ocean Road. You get to enjoy fantastic activities with unique team bonding for all corporates that are ideal for business meetings, off sites and remarkable get to know you better during conference breaks. Receive a special blend of fun team bonding challenges and games to make your celebration, a day or night to remember. Guaranteed to be terrific fun. Exploring Sydney Harbour, the Sydney beaches or savouring a drink en-route through The historic Rocks. We create journey’s that engage large corporate groups and special events. Travel on foot, on water aboard Water Taxis. Even sailing Historic Tall Ships with Pirates with Captains blasting their cannons. We sail Sydney by yachts, water taxis or ferry to Shark or Cockatoo island. Out to Taronga Zoo and Clarke Island. Investigating mysterious coves and secluded pirate cove beaches. Ye exclusive corporate team building activities of adventure awaits! Blue Mountains Explorers and Bushrangers Quest direct from The Carrington Hotel, Hydro Magestic, Lilianfels and Fairmont Resorts. Southern Highlands, Bowral, Berrima or Burradoo then around Berry or Kangaroo Valley Treasure Hunts and Scavenger Hunts ready for you to discover more. BOWRAL Becomes Wild. In the shadow of the mighty Mt Gibraltar, Mittagong lies a secret. Hit your colleagues around the Donald Bradman cricket pitch. Explore unique Bowral mysteries within the Southern Highlands. Reveal pirate culprits and be rewarded with delicious hand crafted chocolate treat bounty or Centennial winery wines. BERRIMA Bushrangers most intact Historic Town Treasure Hunt. Investigate the Surveyor General Pub. Alongside the historic Berrima Gaol or Jail. Memories of The White Horse Inn, Magpie Cafe and then now famous ‘eat dessert first’ Gumnut Patisseries. Here, bear witness the plantings of the Father of Federation Sir Henry Parkes. Sample sweet Lolly Stores where fizz bombs explode. Stake your claim before the Berrima Court House. Or be carted off to Berrima Gaol to be punished for your crimes. Great for Bowral group activities fun. Find the chest and open the bounty in time! Explore Surfers Paradise from Main beach to Broadbeach, Kingscliff and Stradbroke ‘Straddie’ Island. Dig sands to discover real buried treasure chests. Ideal as a relaxed journey to get your guests to interact, mingle and mix whilst exploring the best Gold Coast experiences. Escape the conference scene, breaking out with fun team bonding activities. Burleigh, Coolangatta, Currumbin, Kirra, Tweed Heads Hunts are ideal corporate escapes where your teams can get clever. Test your staff’s collaboration and problem solving skills. Experience our newest line up of quality team events on the Gold Coast and Surfers Paradise Amazing Races. Amongst the vineyards and Hunter Valley Gardens are secret treasure hunt activities and events served up with style to include Wines, Cheeses and Chocolates! Hunter Valley Winery Treasure Hunts are devine with wine to sample a great drop or 2. At the likes of Tempus 2, McGuigan Brothers, Brokenwood and Petersens Sparkling Wine (Champagne) House for Sparkling Australian Wines. We design Hunts for Hens and visit selected Cellar Doors. Experience delicious wine tastings. Decadent Hunter chocolates and smelly cheeses. Here you can have your cake and eat it too! Fine fun for Hunter Valley Team Building Activities that finish with a grand finale clever twist and ya favourite drop of Red. The Northern Beaches of Sydney are a mecca for team building activities. From Newport arms to Manly Beach and Palm Beach the town of Home and Away! Terrigal Hunts direct from The Terrigal Crowne Plaza. Presenting the best team building activities ideas. Ideal for Central Coast conference break outs. Escape your business along the beach with games to play. Need games staff to motivate your team? We have just the solution. Activities in Avoca, Gosford, Ettalong and Umina are all custom built for fun participation for staff activities break out from conferencing. Newcastle discovery hunting for clues along Nobbys and Merewether Beaches. Brisbane Fun activities in Queen Street, Botanic Gardens, Kangaroo Point along South Bank. Canberra Team Building from Parliment House to Glebe Park. Mt Ainsley, Burley Griffen, Arboretum, NCA and out to Mt Stromlo for Slueths! Parramatta Team Bonding digging beneath the developments from The Novotel and Mantra. Pink Panther, Cluedo, Murder She Wrote – themed unique and new team building activities. The Worlds Greatest Detective, Sherlock Holmes is in town. Visit 221b Baker Street from Sydney in London cabs rendezvousing with the remarkable Sherlock Holmes! Car Rally Treasure Hunts across Sydney Harbour Bridge and out to Manly beaches or The Blue Mountains. Team Building Events designed to include special product launches, branding of services and business values. Receive your Free Bounty & engraved Holy Grail Trophy. Discover legendary treasures in a Pirates of the Caribbean or Jack Sparrow themes. Excellent fun Treasure Hunts options in and outside of Sydney include: Indiana Jones temple Of Doom, Raiders of The Lost Ark, CSI, Mission Impossible, Scavenger hunts, Cluedo and who dunnit Murder Mysteries! Is your team competitive? Our friendly corporate event partners at the best Sydney Amazing Races . Providing exceptional team activities in The Rocks, Sydney CBD, Pyrmont and Middle Harbour. Or enjoy more Amazing Races going for gold in Sydney Olympic Park, Parramatta, Surfers Paradise, The Gold Coast and The Rocks. If we can’t assist and build your team morale. Surely a few may walk the plank. New corporate group fun activities and events that go beyond amazing races. Indoor Hunts that avoid the wet, cold and rain, Partnering with Escape Indoor. Geo Caching Technology Savvy Modern Treasure Hunts with Tablets, Apple Ipads, Samsung, Galaxy and Smart I-phones. Mission Possible team events. Become a Tom Cruise or Espionage agents and chase down an Assassins Creed. 007 Team Bonding Missions and Intelligent Corporate Events provided Australia wide. CSI Crime Scene Investigations that sleuth a murder, collect the evidence and determine ya verdict. Designed to match your conference theme and incorporate business values. Indiana Jones and the Temple of Doom, DaVinci Code, Diamond Treasure Trails, Lost & Survivor. Challenge our Team to develop a custom built pirate or public events. In Sydney, The Rocks, Cockatoo Island, Blue Mountains, Hunter Valley, Gold Coast and on the beaches. Grab your team and explore, on a wicked, clever fun treasure hunt for bounty. Meet your teams off sites conference activities, mission statements, timing and outcomes. For brilliant discoveries across Australia visit Thrill team building experiences! Enjoy being a ‘Friendly Pirate’ for a few hours. On the Seas of Sydney Harbour from The Rocks to The Gold Coast and Surfers Paradise. Available everywhere along the East Coast of Australia.